In the therapy, doctors first remove the patient’s T-cells, which play a crucial role in the immune system. They then reprogram the cells by transferring in new genes. Once infused back into the body, each modified cell multiplies to 10,000 cells. These “hunter” cells then track down and kill the cancer in a patient’s body. Despite the best efforts of many anti-smoking groups, cigarette sales were down 600 million units in the first quarter of 2013. Why? Because electronic cigarettes competed successfully with tobacco cigarettes and drove their sales down. Utter madness of the anti-smokers: they would rather people died than found a viable alternative to smoking, because it looks like smoking. Incidentally today I’ve been off the roll-ups an on an e-cig for one month. 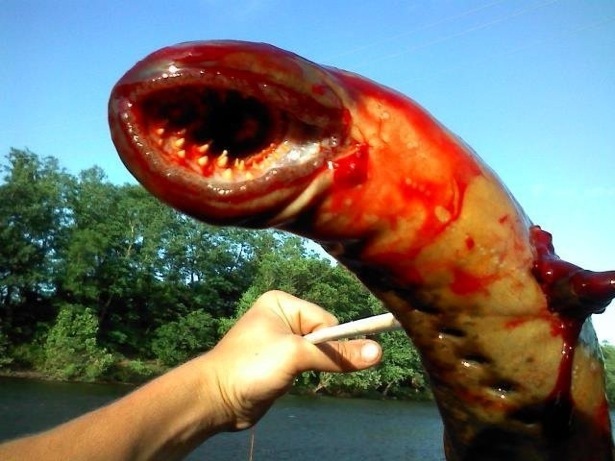 Thanks to vaudeviewgalor raandisisraisins for drawing my attention to this monster, which is actually a lamprey. No, this is not the crater caused by the Russian meteor. Boris Johnson is here speaking some sense about fracking. In their mad denunciations of fracking, the Greens and the eco-warriors betray the mindset of people who cannot bear a piece of unadulterated good news. Beware this new technology, they wail. Do not tamper with the corsets of Gaia! Don’t probe her loamy undergarments with so much as a finger — or else the goddess of the earth will erupt with seismic revenge. Dig out this shale gas, they warn, and our water will be poisoned and our children will be stunted and our cattle will be victims of terrible intestinal explosions. So, Cameron is a nannying statist who wants to stick a minimum price on alcohol per unit. What on Earth is he thinking? Does he think that this will result in fewer pavement pizzas and fat slags crying in the gutter on a Saturday night? Does he think there’ll be less violence on the streets after chucking out time on a Friday and less chaos in A & E over the weekend? If he does think that then he’s an idiot because the people responsible for that drink in bars where the price is already way above his damned 45p a unit. Does he think that £2 on the price for a bottle of vodka is going to stop an alcoholic buying it? Does he think that ‘problem drinkers’ are going to alter their life styles because their weekly booze bill has gone up by ten or twenty quid? 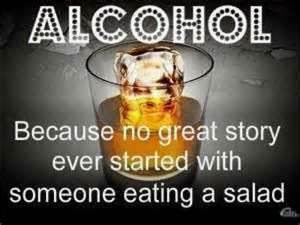 Well, maybe they will, maybe they won’t be getting the latest X-box, flat screen TV or maybe their kids will start outgrowing their clothes because, you can be damned sure that habitual drinkers will sacrifice other spending rather than the habit. Does he think that banning supermarket deals on wine, like three for a tenner or three for the price of two is going to do any more than piss off people who drink at home and cause no trouble at all? Does he not realize that black marketeers – the same ones most smokers buy their tobacco from now – will be rubbing their hands together in glee? Has he, with his wonderful Eton education, not heard of Prohibition? Or was he too hung over after a night out getting pissed and trashing restaurants with the Bullingdon club to take that particular lesson in? Really, it’s about time Cameron found his natural home in the Labour Party. There’s a place for him there, since that party doesn’t have a leader. Not that he’s much of a leader but I’m sure they could always find room for another advertising executive. I guess the fact that they were put through the mangle over cutting that program about Jimmy Saville led program makers to feel they had carte blanche on the next target. The complete lack of judgement kicked in as soon as they heard the words ‘Thatcher’ and ‘Tory’. All this was of course exacerbated by a complete lack of sensible oversight. Yeah, George Entwistle needed to resign because quite obviously he wasn’t worth his huge salary. But next a sharp knife is needed to cut out some of the diseased wood. It’s easy enough to spot – just check on who regularly buys the Guardian. No, strike that, it’s probably paid for out of our licence fee and then distributed free in Broadcasting House. Oh, and I’m seeing twitters about how this is distracting from the child abuse. Do these people think that being accused of paedophilia isn’t abuse too? 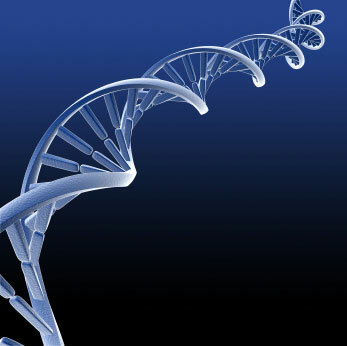 Regulators yesterday approved the first therapy in the western world that can correct errors in a person’s genetic code. Europe has approved Glybera to be used against a rare inherited disorder which disrupts fat production in the body. The treatment uses a virus to counteract LPLD, lipoprotein lipase deficiency, which can led to acute inflammation of the pancreas. I can remember when this was confined to science fiction and the most speculative science articles about what it might be possible to do (Remember that chat between Roy and Tyrell in Bladerunner?). I can remember when this was a future possibility but maybe in ten or fifteen years if massive hurdles could be leapt. This is about changing something as ineluctable as fate: genetic predestination; the hand of cards you were dealt with in the womb and could never change. The main news story on breakfast news this morning is about lung cancer now being the main cause of cancer death in women. This is obviously a terrible thing, isn’t it? A doctor came on explaining the demographics: many decades ago more men than women smoked and now we are seeing the results of women catching up in that respect. He pointed out that there is usually a large delay between smoking and this kind of cancer death, though neglected to mention that the delay is often a life-long one. Deep in this blog you’ll find a graph with lung cancer deaths along one axis and age along the other. People can die of it at any age, but the bulk of them die when they’re over 70. Now, while death of any kind is a terrible thing, are these new statistics a terrible thing too? That many people die of cancer now is because they’re not dying of the killers of the past. Anyone who has done some research into family history will know about that. Consider for a moment the possibility that an increase in lung cancer deaths in women in the above demographic might be because many of them are not dying of something else. In fact the woman they had on the show had been cured of breast cancer before her lung cancer was discovered. Breast screening, smear tests and the resultant treatments have hammered those kinds of cancers and, of course, the most difficult one to cure remains. Life is 100% fatal – remember that next time some of these TV dipsticks start shouting statistics at you. It is arguable then, that this increase in deaths from lung cancer can be seen in a positive light. Let me illustrate: Kevlar vests are introduced during a war. Statisticians bemoan the increase in the number of deaths from head wounds.